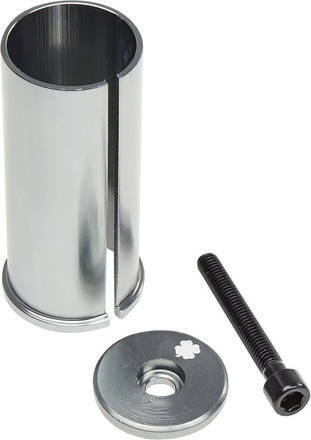 This Hidden Internal Compression (HIC) kit includes the aluminum shim, a top cap and bolt to make it easy to create the compression. The shim in this set is 75mm tall. As always perfect service from Skatepro.Happy son happy mum.